The Exhibition of CRI SHOW3 T-shirt worn by JKS! The T-Shirt, towel and bandana worn by JKS during the encore of the JKS’s Solo Concert CRI SHOW 3, which was held with a great success, will be exhibited! The Exhibition will be held on the 1st Floor of AP SHIBUYA Shop. After the exhibition, it’ll be presented to the customer as a gift! 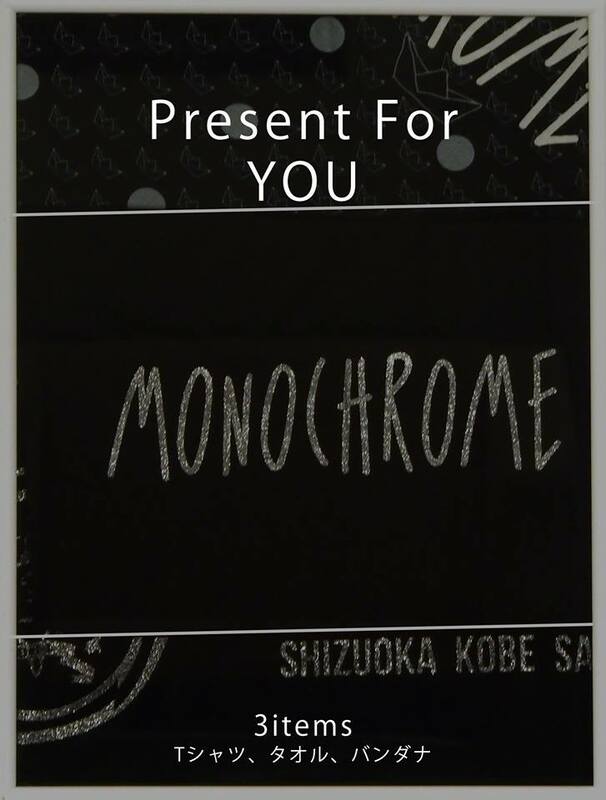 * During the exhibition period, the Monochrome CREW T-shirt, an application ticket will be given to customers who have made a reservation. * An application BOX will be prepared on the 1st floor, do not fill out the application ticket there, please mail/ post it. ※ 1 application ticket will be given for 1 T-shirt. ※ Please be informed that you can't choose the performance date. ※ Details about vote counting method and winner's announcement method will be informed again later.